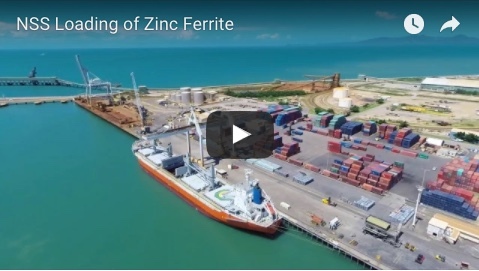 Northern Stevedoring Services (NSS) has been awarded the transport and logistics services contract for Sun Metal Corporation’s (SMC) zinc and by-products exports commencing in November 2008. The contract further cements NSS’ positioning as the leading stevedoring and logistics services company in Northern Queensland and bolsters the company’s performance for the 2008/9 year. 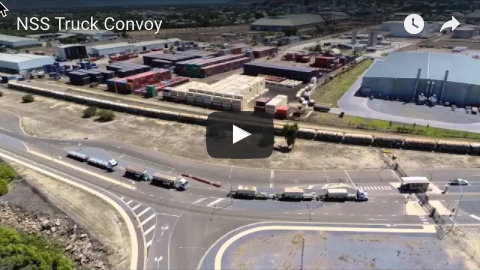 “As the only fully-integrated stevedoring and supply chain service provider within regional Queensland, we are in a unique position to provide clients with an end-to-end logistics solution,” explains NSS General Manager, Todd Emmert. NSS will provide stevedoring and transportation of all Sun Metal Corporations products in addition to a logistics package which will ensure cost efficiency across the entire supply change, storage facilities and strategic planning to execute SMC’s export supply chain. The benefit of an integrated service of stevedoring and a logistics package will ensure that the transportation of SMC’s products will be met with innovative and streamlined administrative initiatives eliminating interface inefficiencies. Formed in 1971, NSS is headquartered in Townsville, Queensland, with operations in all regional Queensland major ports locations. Port locations include Townsville, Cairns, Mackay and Gladstone. NSS is proud of its commitment to regional Queensland and its investment in state of the art facilities, with a focus on setting the benchmark for the delivery of stevedoring and supply chain management for all our clients.